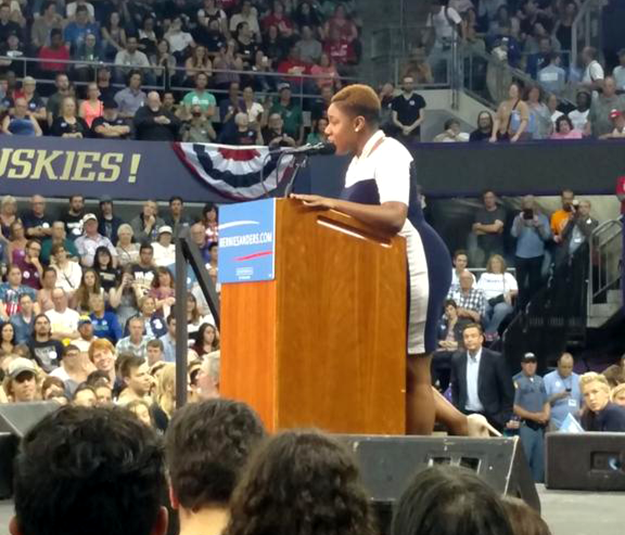 Symone Sanders was announced as the new national press secretary for Bernie Sanders' presidential campaign Saturday. She is a criminal justice advocate and progressive activist, as well as a supporter of the Black Lives Matter movement. The announcement came hours after Black Lives Matter protesters shut down a Bernie Sander's rally in Seattle. Sanders first connected with the Vermont senator three weeks ago offering him advice on how to better understand the message of the Black Lives Matter movement. After meeting, she was offered a job. Among other duties in her new role, Sanders also helped develop a criminal justice reform policy package that she says is forthcoming from the campaign. “We’re all doing Black Lives Matter work. Some of us it’s policy, some of us it’s advocacy, some of us it’s activism, but we all have a place,” she said.